The Bihar court passed the orders after a lawyer approached the court over Abdullah's remarks on Pakistan Occupied Kashmir. BETTIAH: A court here on Monday ordered filing of FIR against on charges of treason. The court passed the orders after a lawyer approached the court over Abdullah's remarks on PoK (Pakistan Occupied Kashmir). 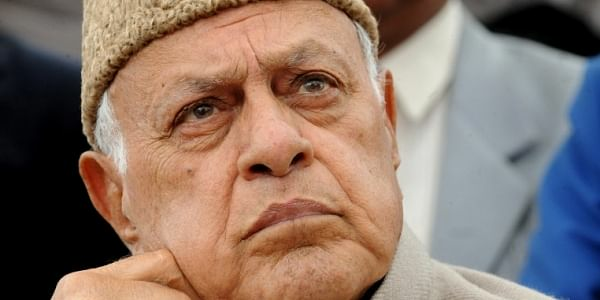 Jammu and Kashmir National Conference (JKNC) President Farooq Abdullah on Saturday said that Pakistan-occupied Kashmir or PoK belongs to Pakistan and the fact would not change no matter how many wars are fought over the issue. However, India maintains that PoK belongs to India as it was invaded by Pakistan in 1947. On February 22, 1994, the Indian Parliament passed a unanimous resolution that demanded “Pakistan must vacate the areas of the Indian State of Jammu and Kashmir, which they have occupied through aggression; and resolves that all attempts to interfere in the internal affairs of India will be met resolutely."